A myriad of money-related issues face Americans today, such as budget management, investing in stock markets or preparing for retirement. When trying to navigate these financial waters, a financial adviser can help steer you in the right direction so you can make educated decisions. 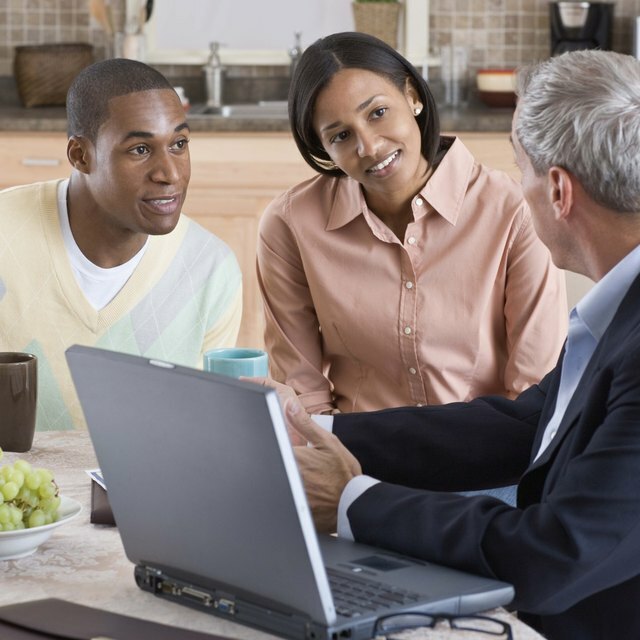 When it comes to selecting such an adviser, knowing what to look for can help you choose the best individual -- or group of individuals in an agency -- for your specific situation. Search the databases of either the National Association of Personal Finance Advisors or the Financial Planning Association. Both associations offer websites (see Resources) that you can browse by location to start building a list of potential local advisers who have passed the association's preliminary screening process -- a good way to weed out bad advisers. Check the adviser's credentials to determine whether the adviser is trained to guide you on the matters that you need help with. If you just need general, big-picture financial guidance, choose a certified financial planner. Meanwhile, certified public accountants can help you with taxes; chartered financial consultants can guide you with planning your estate or choosing insurance; and chartered financial analysts can help you with mutual funds, stocks and other forms of investment. Ask whether the adviser is a fiduciary or not. Fiduciaries are legally obligated to put your needs and interests first. This may be especially crucial if you're picking an adviser who works on commission or who may guide you in purchasing decisions, such as buying insurance or stocks. Review the adviser's experience. This data should be readily available if you simply ask for it. This can include the kind of companies the adviser has worked with in the past, or the kind of individuals the adviser has helped recently. Just because the adviser is a CPA or CFP doesn't mean she has actually done such work. Aim for someone who's had at least a couple years of experience in the type of financial situation you're currently in. Run a Form ADV background check with the U.S. Securities and Exchange Commission. This form, available from the agency's website (see Resources) for free, can highlight potential problems, such as whether or not the adviser has had past disciplinary actions taken against him. Fees can vary depending on the amount of work you need from the financial adviser, as well as whether she charges by the hour, by the project or by commission. Always get a price quote in writing before hiring the services of the adviser.